Welcome,I am a passionate paper crafter on a journey to share my creations and inspire others to join the wonderful world of paper crafting. Please browse my posts for tutorials and tips. I look forward to reading your comments. 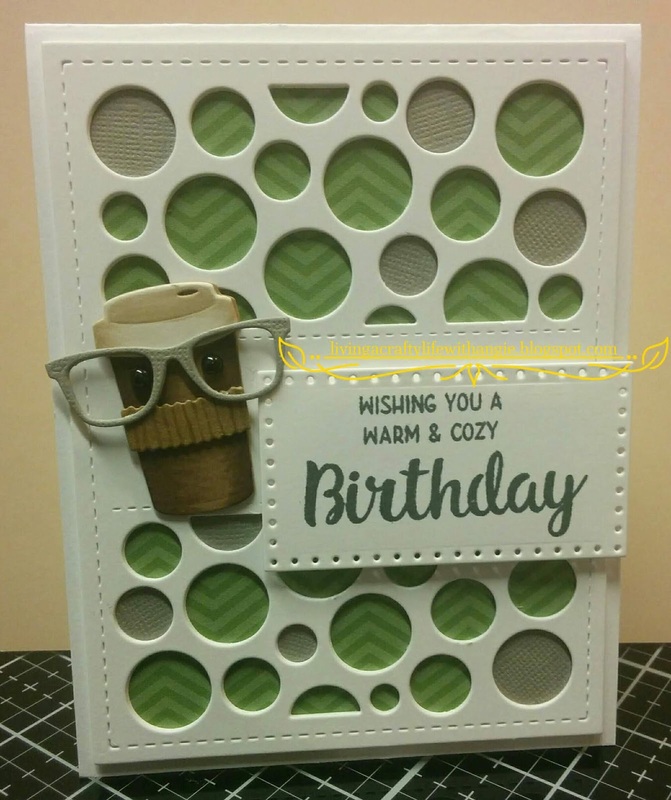 These cards were both made using the same dies and format except the his and hers colors and glasses. The base I made was white 110lb coverstock top folding 4 1/4" x 5 1/2". I then used the same 110lb coverstock and cut 3 times per card the circles die from Your Next Stamps Die called "Circle Panel Die". I layered the die cuts and glued them together. I like to layer dies to give the effect of a chipboard. 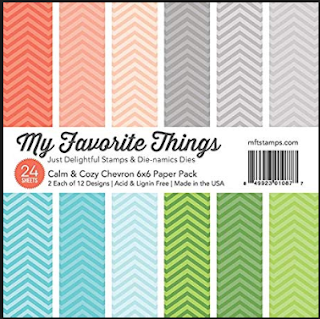 I chose the green chevron page for the masculine card and a pink chevron page for the feminine card from the My Favorite Things 6x6 called Calm & Cozy Chevron. 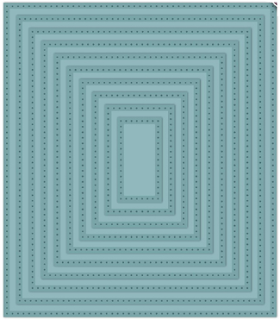 I cut each of these to measure 3 3/4" x 5 1/8". 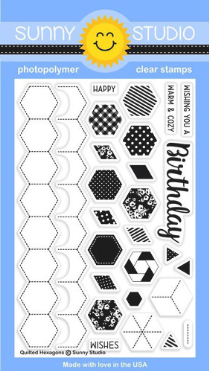 I pasted these to the card base for each card and then adhered the circle panel die cuts. I then used a grey card stock for the masculine and a red cardtstock for the feminine and cut out a panel of each and kept only a few on the circles. 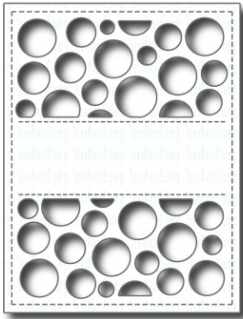 I pasted the circles inside the holes. I used dies to cut out the 2 pairs of glasses using the same grey and red cardstock respectively. 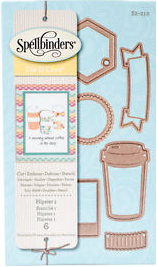 I then used the spellbinders D-Lites Hipster die set to create the coffee cups.Using 110lb white coverstock I die cut 2 cups per, 2 cup coffee lids I then cut 2 coffee cozies per using brown craft paper. I pasted the individual items together and colored them individually before pasting them into the little figurines. 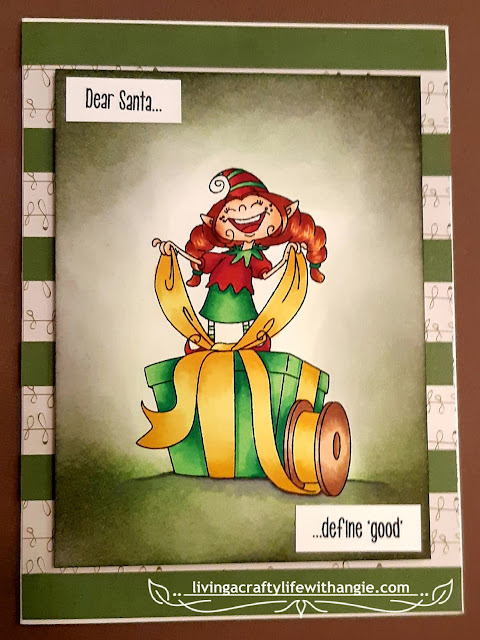 I cut the sentiment mat using Avery Elle Double Pierced rectangles die. I used the 2 3/4" x 1 1/2" die. I stamped the sentiment using the Sunny Studios Quilting Hexagons stamp set. I used Stampin' Up Cherry Cobbler for the feminine card and Basic Grey for the masculine card. 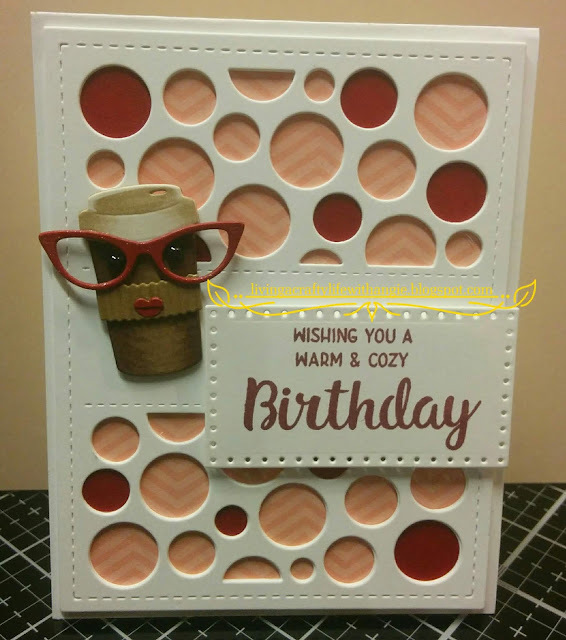 To finish the cards I used black half pearls for eyes and I used Wink of Stella in clear for the feminine glasses and cut tiny lips for her as well. please be sure to follow my blog.